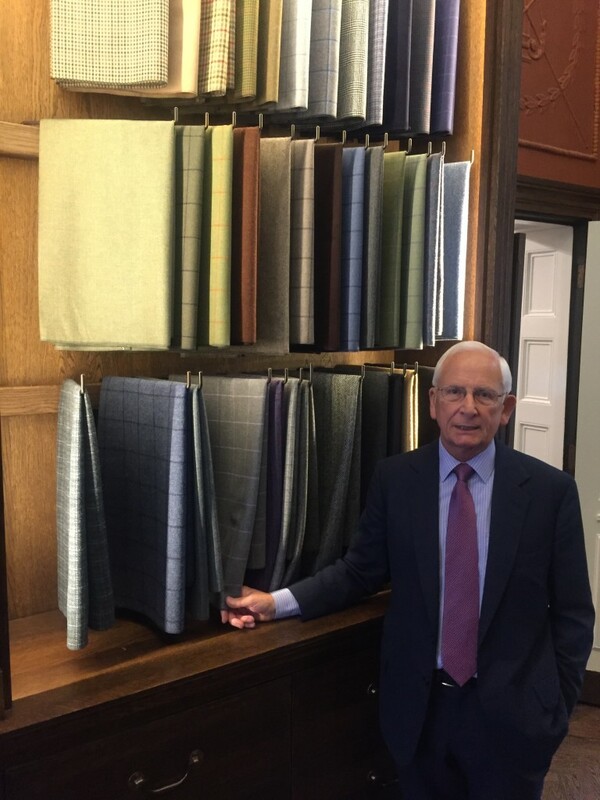 We sat down for a chat with John Henry Bell, cloth representative and a friend to many on Savile Row. My job role at the moment is focused on the public relations side of things. 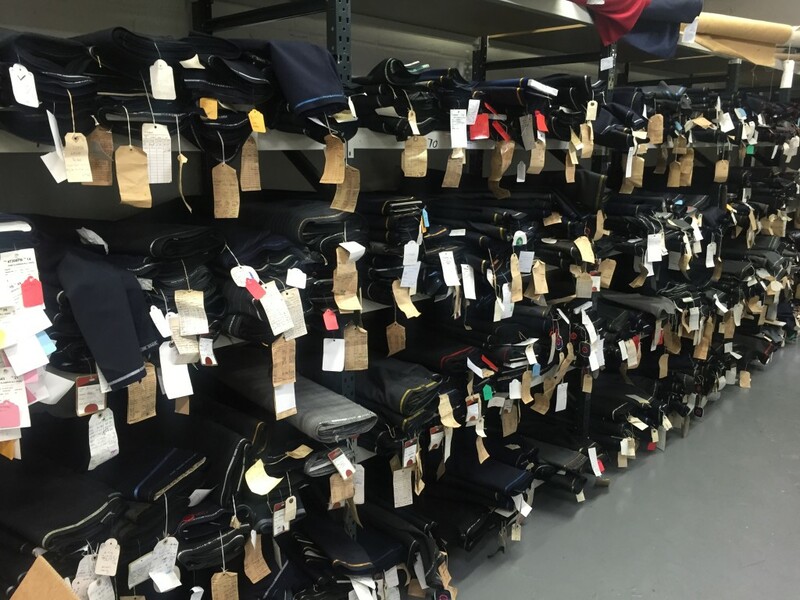 Nowadays tailors don’t buy a lot of stock like they did 40 years ago, so I oversee things and sort out any problems. I keep the bunches up to date, show them the new ranges and keep the customers happy as best as I can. Years ago it was different; you sold to the tailors and they stocked cloth on their shelves, but now they order through bunches so you just have to ensure that you promote your cloths. I have been in the trade for 52 years; I joined in 1962 as a packer. 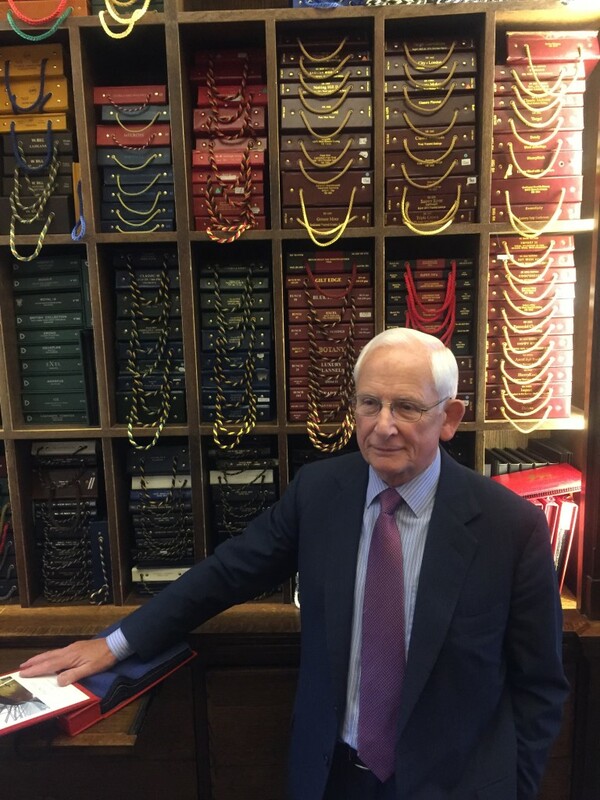 I worked in small wool merchant shop called TB Bendell that was based above Anderson & Sheppard when they were at 30 Savile Row. It was a lovely place; I met my wife there. I have been in the trade ever since working in different roles for different merchants. I took a break from it for a while because there was a lot of talk of the industry dying out. I only took a break for about a year but then I just had to come back; it is such a special industry and is still going strong today. Most of the customers are my friends and the people that were apprentices 30 or 40 years ago are now the bosses. I have grown with them and can help them better than most because of our relationship. Well I wanted to be a farmer and a gardener, I was once asked to do a gardening job and quickly realised it actually wasn’t for me. I ended up as a packer and after a few years a lot of people moved on and I became a representative, I started travelling around Europe at such early age it was amazing. I’m 72 now and I am still going, the work has become more intense but I’m relishing every minute of it. 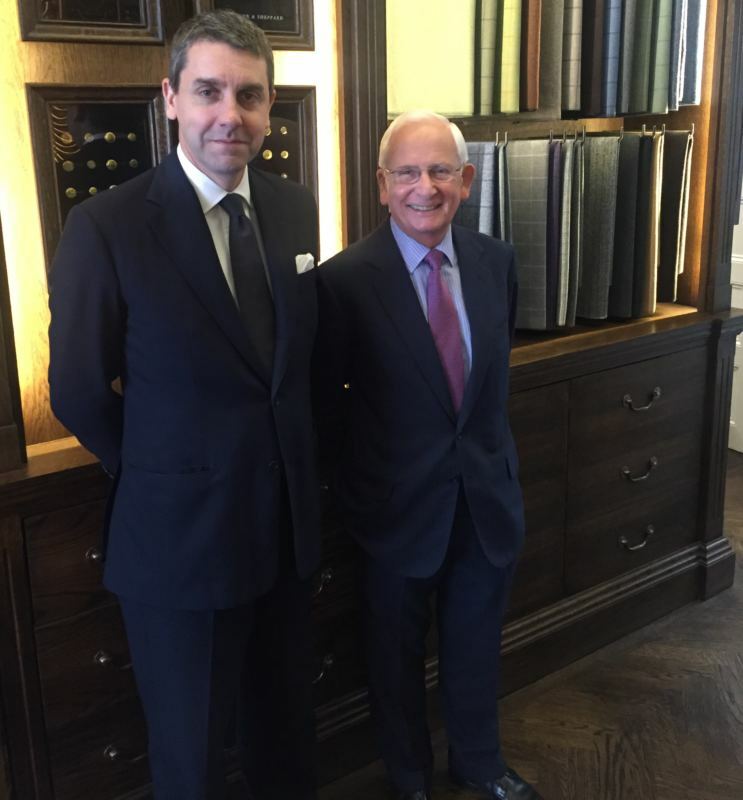 The mother company I represent is called Lear, Browne and Dunsford, they own Harrisons of Edinburgh, H. Lesser, Porter and Harding, Smith Woollens and W. Bill among others. Whereas before I was working with eight or nine bunches I am now working with about 75, we have really got the heart of the trade which is a great thing. Well in the old days you had to be a salesman, you had to go out and you had to sell because the bunch trade wasn’t as popular then. 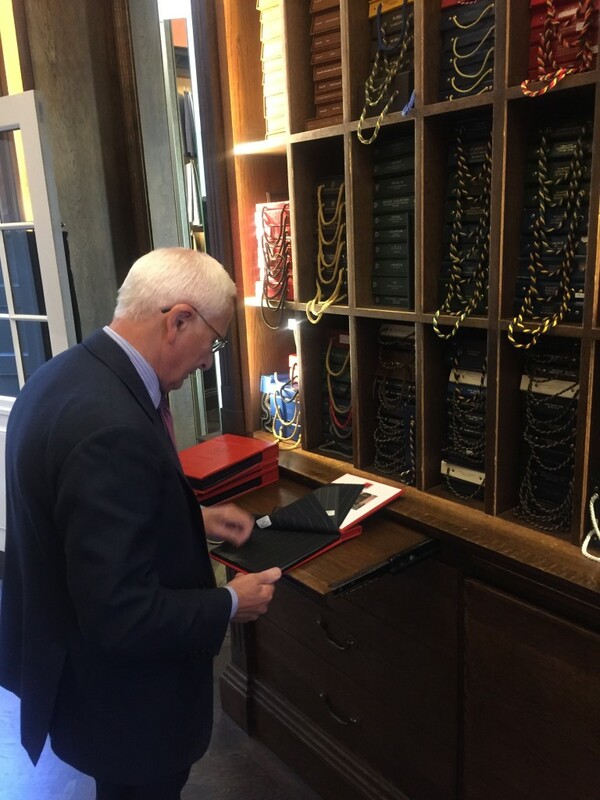 I visited shops on Savile Row like Anderson & Sheppard and went all over Europe to sell lengths of cloth and the companies would order per season. Now the tailors buy the cloth when they have sold a suit, so merchants have to hold the stock and keep it on order so the tailors have it ready. Things have of course changed but the relationships are still the same. The new generation that join the trade are wonderful, and that is why I cherish this place so much, it’s a real community.